According to the makeup artist, around six pre-wedding functions are happening at Ginni's home. Celebrations are going on with full pomp and show at Ginni Chatrath‘s house in Punjab, who is all set to marry comedy king, Kapil Sharma on December 12 this month. 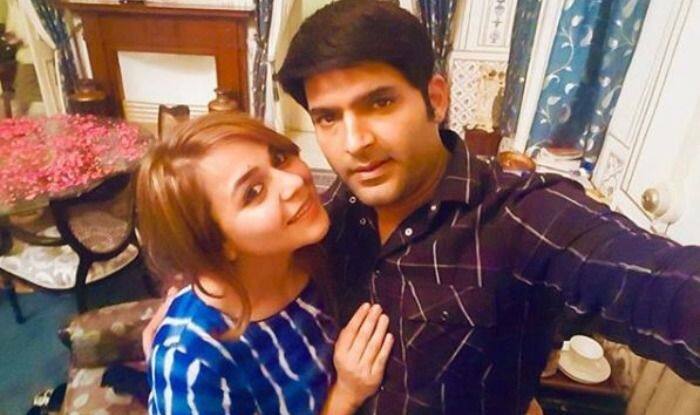 While Kapil is busy juggling with his show’s shoot and will be home for functions that start from December 6, the girl’s family has already begun with the ceremonies. For the Akhand Path Bhog at their residence, Ginni had dressed up in a purple outfit with gold embellishments and looked stunning while for the chooda ceremony, Ginni donned a traditional red sharara. The bride-to-be took to Instagram later to share pictures from the ceremonies and videos of bhangra dance to mark the celebrations. “Ginni is a very sweet person. She is a very happy bride with no pre-wedding jitters. She is having a lot of fun and enjoys keeping things simple” said makeup artist, Shikha Mohan, who did Ginni’s makeup for the ceremonies. Given the current craze for floral jewellery, and her haldi and mehendi theme being on the same lines, it is being expected that the bride-to-be will be dressed in them for the two functions. According to the makeup artist, around six pre-wedding functions are happening at Ginni’s home, where friends and relatives have already assembled. While Kapil is believed to have not even zeroed down on his outfit so far, a team of makeup artists and hairstylists will be flown in from Mumbai for the main days. The wedding and reception is said to take place at a posh hotel close to Jalandhar, post which the couple will host a party for their Bollywood friends, in Mumbai.